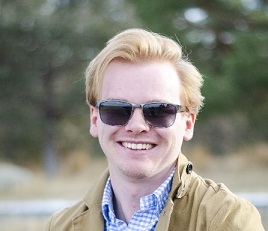 Tutor Profile - Gunnar H.
Bio: I am a recent Finance graduate of Metro State University of Denver with a passion for learning. Heading into my sophomore year at MSU (Aug. 2016) I decided to become a tutor. Since then I have grown my skill set and have discovered a new passion for learning. Tutoring isn’t just a job for me, it’s getting individuals excited about the topic they are learning. Finance is dry for non-finance students and I want to ensure those students see the value in understanding financial concepts. My goal is for students to connect the dots and have a lasting “aha!” moment. You know what they say, if you see value in it, you will succeed. Experience at High Performance Tutoring: Gunnar has worked at High Performance Tutoring for 3 months and has helped 3 of our students learn effectively, build academic confidence, improve grades, and raise test scores. Gunnar is highly knowledgeable, great at teaching, has a wonderful personality, and has proven over time to be very reliable.